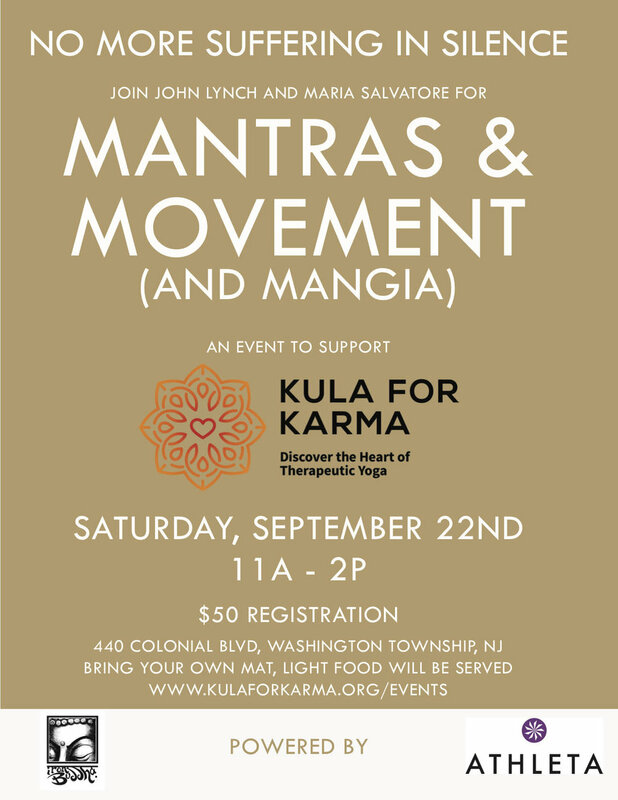 Join John Lynch and Maria Salvatore for mantras, movement, and of course, mangia! — all to support a great cause. Generously powered by Iron Buddha and Athleta. Ticket proceeds benefit Kula for Karma and the creation of new therapeutic yoga and meditation programs to help people recovering from trauma and addiction. Your generosity will help us bring therapeutic yoga programs to people in need, at no cost to them. Bring your own mat. Light food will be served.